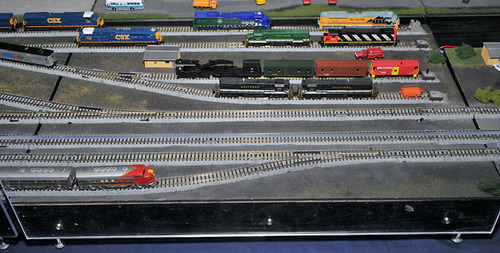 Description:Six module 6 track Yard with 6 foot passing siding for each main, engine facility, by-pass track for yard switcher. WB Tower and East Brunswick at each end provide double cross-overs at each end, and an extended switching lead. 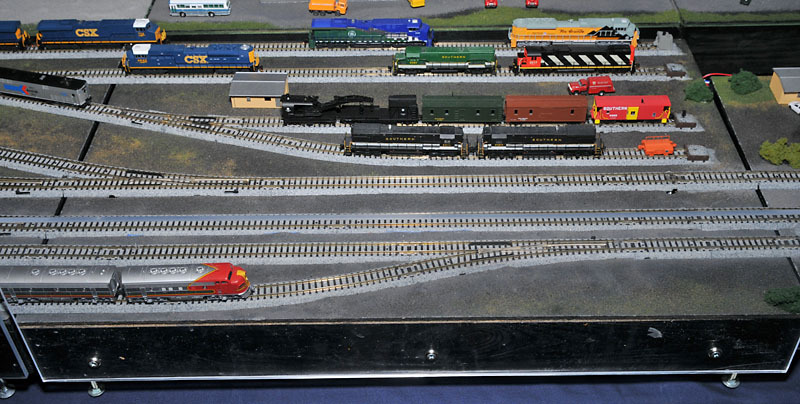 The switching lead is NOT accessible from either main (yard switcher does the work).